After three straight outright victories at the 24 Hours of Le Mans and six world championship titles for the 919 Hybrid in the FIA World Endurance Championship, the Porsche Team would now like to express its gratitude to its partners. The six-hour race in Sakhir/Bahrain on 18th November marked the end of Porsche’s successful involvement in the LMP1 class of the WEC. 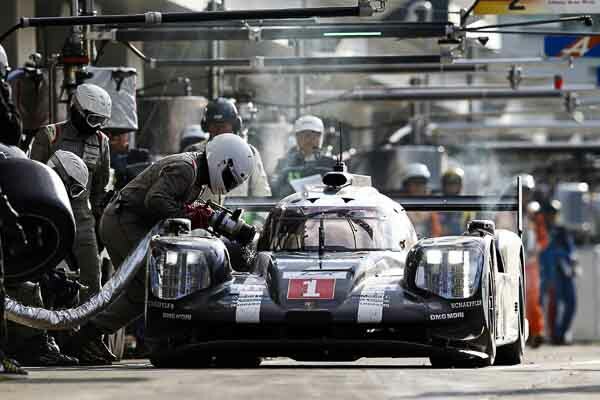 This coming year, the innovative 919 Hybrid embarks on an extensive farewell tour with numerous events. The era of the technology showpiece comes to an end in the autumn of 2018 – its last journey will lead the 919 to the Porsche Museum. Porsche honours its long-standing partners with a special movie. The thank-you video is available in our video section. As the exclusive premium partner, the merger of two of the world’s leading manufacturers of machine tools has made a major contribution to the Porsche Team’s success over the past four years: DMG MORI AKTIENGESELLSCHAFT, Bielefeld, and DMG MORI COMPANY LIMITED, Tokyo (Japan). The automotive industry is one of the mainstays of DMG Mori’s expansion alongside other high-growth sectors such as aerospace, medical and energy technology. As a leading innovator in the machine tool industry and technology partner, DMG MORI has made a major contribution to the success of the Porsche Team. Chopard, the Porsche LMP Team’s official timekeeping partner from the very beginning, was founded in 1860 by Louis-Ulysse Chopard and was taken over and managed by the Scheufele family in 1963. Today, the Geneva-based company is one of the world’s most successful manufacturers of jewellery and watches, with 1,700 employees and branches in Europe, Asia and North America. ← Previous Four years. Many loyal partners.One success story.